Posted on January 11, 2014 by Financial Underdog	in family, personal finance. Underdog is defined in sports as somebody (or some team) that are expected to lose. The chances are stacked against them, and history of achievements is not quite there. In fact, it doesn’t even exist. For example, the movie Rocky is about an absolute underdog Rocky Balboa going into a fight with a favorite (or top dog) named Apollo Creed. Apollo had everything going on for him – great track record, a whole team of coaches looking after him, great environment for training, and sponsor money to support all of this. What about Rocky? 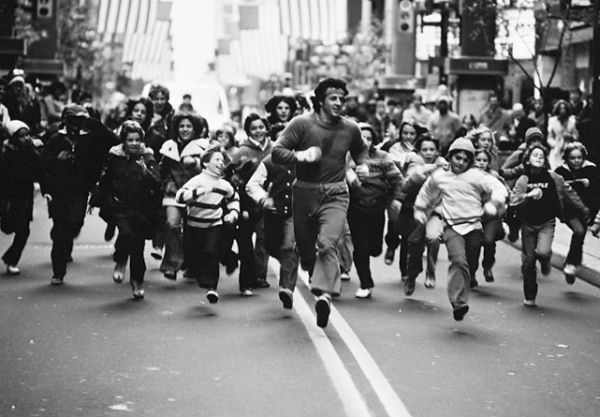 Rocky (portrayed by Sylvester Stallone) was trained by an obviously crazy coach Mickey in a dirty gym, he jogged through dirty streets of Philadelphia dressed like a homeless person (seriously, have you seen his outfit? ), punched dead cows instead of punching bag, and lived in a small dirty apartment. He was a nobody. 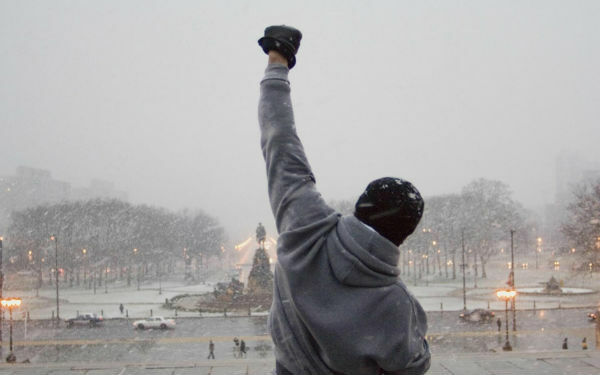 Not exactly a recipe for championship – and because of that everybody expected Rocky to lose. But a miracle happened – and Rocky put up one hell of a fight. Technically he did lose, but he was a true winner of the fight by lasting against Apollo this long and not going down. A guy from the streets went against the champion, and became the legend of the streets, a true folk hero. What does it have to do with finances? As somebody who grew up in a poor family in final years of USSR, I lacked common knowledge about money from day one. My parents never had much money (especially when the country was slowly breaking apart) and they couldn’t teach me how to manage it – which translated into very bad money habits for me when we came to Canada. If you can think of one stupid thing to do with money – I did it. For the most part, I simply didn’t know how money works and what to do with it. My family came to Canada when I was in my early 20s – and I had to start my life from the very beginning with zero knowledge. Heck, I didn’t even speak English when I came here – and even right now I still have a fairly thick accent. Imagine trying to get your first job when you can barely speak English and have social skills of a newborn – not the greatest start towards financial success, am I right? No university degree for me – I simply couldn’t afford it. No inheritance from a helping uncle. No high paying jobs for me either as those require skills and education. No slick investments or smart money habits. But the dream of becoming financially successful despite all of this is still there. Yes, I want to put up one hell of a fight. I want to achieve financial independence for my family, and leave a legacy. I want to prove that even if odds are stacked against you, there’s still a chance to win with money by working hard, investing wisely, and teaching yourself about money. An average person by all means can become wealthy in this country. Even if you start at the very bottom, you can get a degree in street smarts through school of hard knocks. You may need to punch some proverbial cows – but it’s just the part of the process. There are mistakes to be made, and successes to be enjoyed. But even financial underdogs get their chance, and when it comes you have to strike hard and fast. My name is Financial Underdog, and I’m working towards my degree in Street Smarts majoring in Personal Finance.